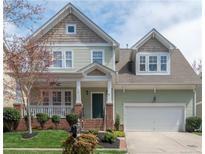 Below you can view all the homes for sale in the Water Oak subdivision located in Mooresville North Carolina. Listings in Water Oak are updated daily from data we receive from the Charlotte multiple listing service. To learn more about any of these homes or to receive custom notifications when a new property is listed for sale in Water Oak, give us a call at 704-960-1598. Great community, enjoy a walk thru the community or to the lake, ride your bike or splash in the pool! MLS#3491766. Realty ONE Group Select. This original owner home is move-in ready. MLS#3483180. Redfin Corporation. Nice size patio area and extra parking pad. MLS#3480569. Dazcon Properties. A detached two car garage complements this home as well , If you enjoy canoeing or kayaking access to lake is across the street . MLS#3471791. Keller Williams Mooresville. The third floor bedroom is a private getaway with it own bathroom. MLS#3470302. Dazcon Properties.